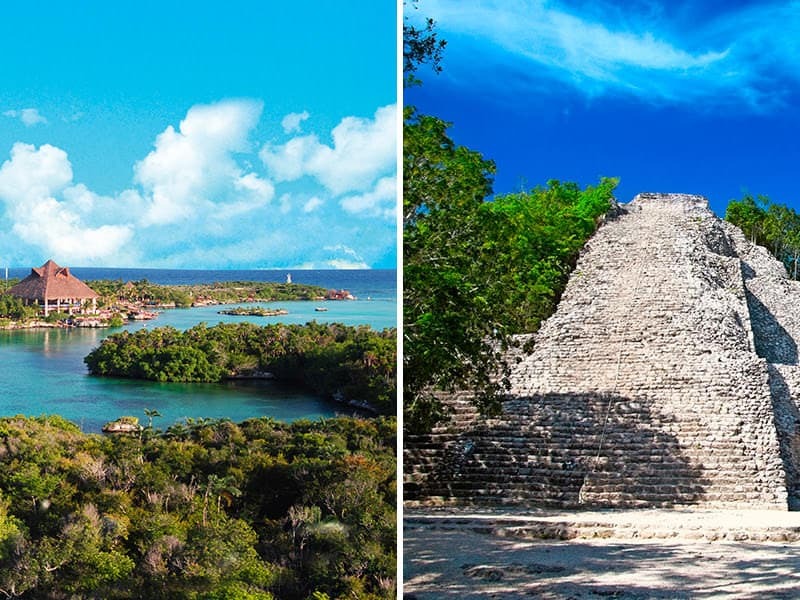 Step into the Mayan world and visit the best natural park of the Riviera Maya. 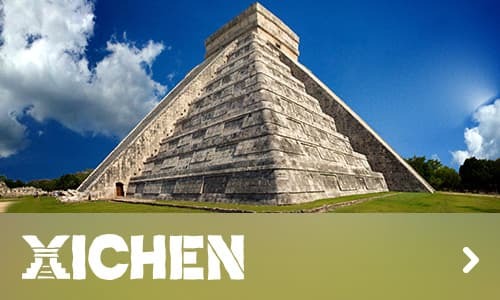 Visit the temples of one of the most impressive archaeological sites of the maya culture. 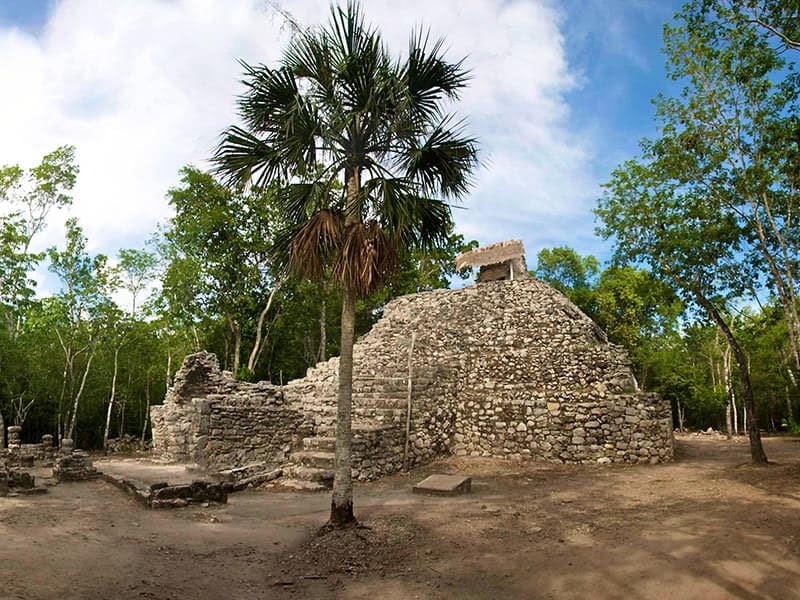 Cobá, which in maya means “water stirred by wind”, is an ancient Mayan urban center surrounded by rainforest, lakes and cenotes. 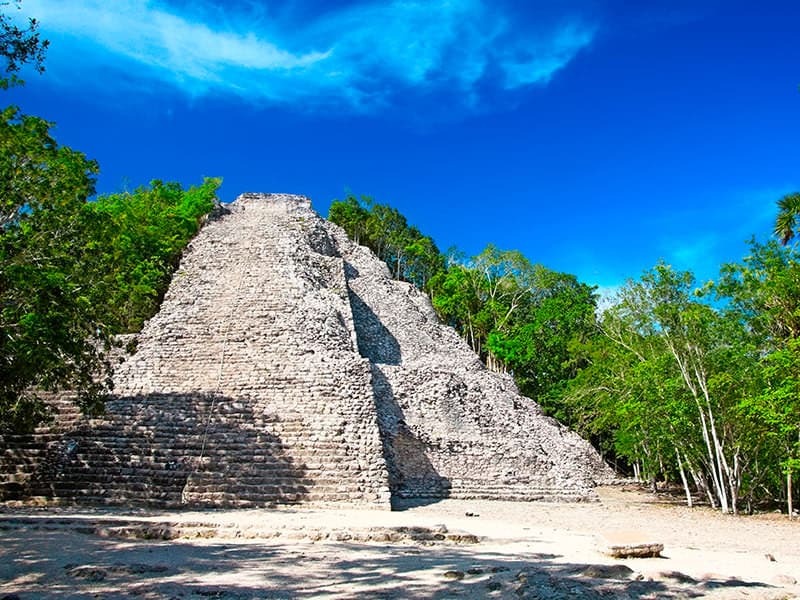 You can walk under the tall trees and observe exotic birds and other animals that live there; for the more adventurous, they can climb the tallest pyramid in the Mayan Peninsula Nohuch Mul, which means “large mound” and as a reward get a breathtaking view. 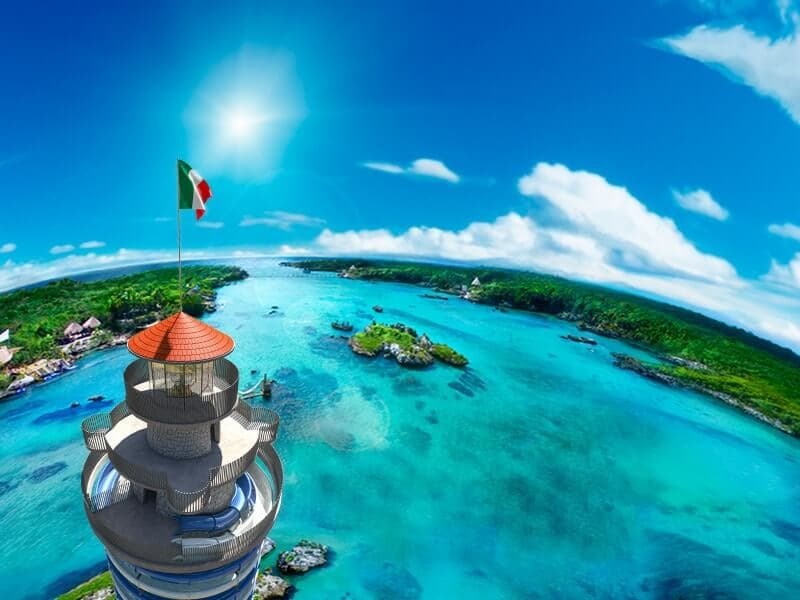 After a cultural tour, you will enjoy a jewel of the Mexican Caribbean. Xel-Há gives you an underwater experience along its great Cove that is home to hundreds of tropical fish; enjoy unlimited snorkeling and the various water activities for the whole family such as the trepachanga, zip-lines or go along the river on a floating tyre. Relax in a hammock or enjoy a bike ride to appreciate the flora and fauna that make out of Xel-Há a true paradise. 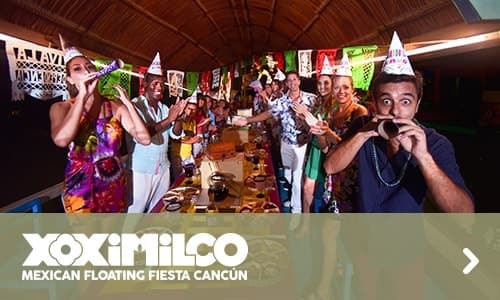 This is the perfect destination to enjoy a delicious buffet and get in contact with nature. 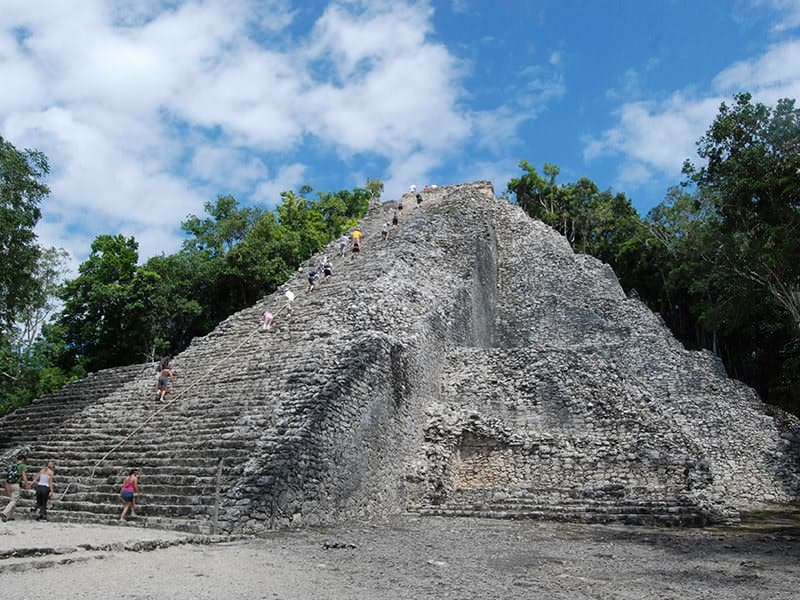 Access and guided tour at the Cobá archaeological site (duration 2 h 45 min approximately). Bicycles and tricycles to tour the archaeological site. Light breakfast on board (a tuna pastry or turkey burrito, fruit and juice). Access to Xel-Há Park from 12:00 h.
Use of snorkeling gear with a free snorkel. Use restrooms, changing rooms, showers, lockers and a towel.